What is happening with 2 of the apparently best currencies: Norwegian krone and Canadian dollar? Let us compare them with the euro and the US dollar respectively. 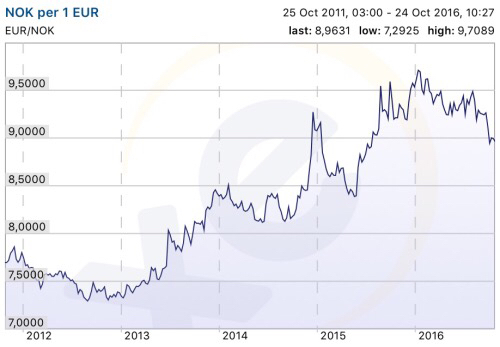 After a minimum point of 7.3 in 2012, the krone started sinking until EURNOK=9.7 at the beginning of this year, but after that it strengthened and now it is trading around 8.9. So far, the historical range is approximately [7-10]. Somehow, something similar has happened with the Canadian dollar. Why? Because NOK and CAD are correlated with the price of commodities, particularly oil. 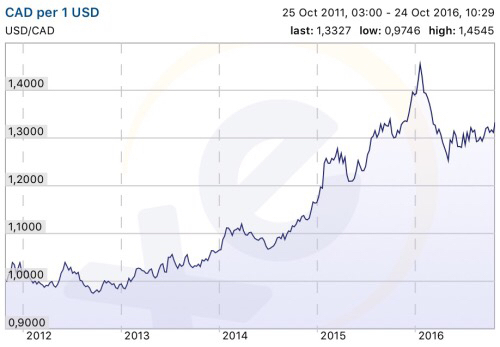 In 2011 CAD reached 0.94 and again the USD peaked at the beginning of 2016 (1.46). Since then the CAD has been going up and now it trades at 1.33. 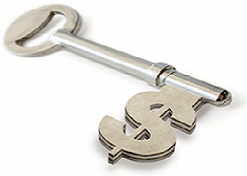 If you want to bet on oil and perhaps better fiat currencies, NOK and CAD could be an option.